He didn’t want to do it. He rejected the bait for as long as he could. But finally Tom Rosenbauer succumbed to constant harping from listeners to his Orvis Fly Fishing Guide podcast for a list of his favourite fly angling books. I found the 11 January 2016 podcast posted with Phil Monahan on Twitter and gave it a listen. 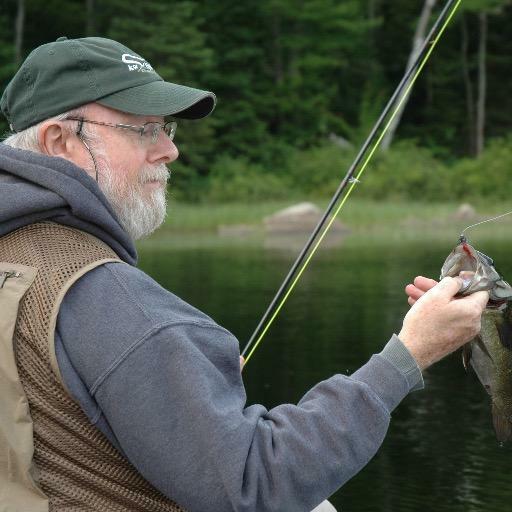 The New England-based fly angler/author needs no introduction. 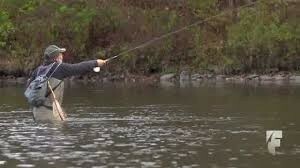 Simply stated, he’s a fly fishing guru — the best of the many fine professional angler/authors who write instructional books on the sport/recreation/pastime which risks becoming a passion, a compulsion, even an obsession. I have some well-thumbed Rosenbauer books in my personal library including The Orvis Guide to Beginning Fly Fishing, The Orvis Fly Fishing Guide and The Orvis Guide to Reading Trout Streams. I also have the four-disc set of the Orvis Guide to Fly Fishing instructional videos he released in partnership with Canada’s JenCor Entertainment (better known as The New Fly Fisher). As vice-president of marketing among various positions he has held at Orvis, many of his 15-plus books carry the company’s imprint. I can recommend no better writer both to neophytes and to seasoned anglers who want to learn more about all aspects fly fishing. Before delineating his Top 10 (in no particular order), Rosenbauer stressed that the selection was highly personal and apt to change. ‘That’s my list today but it could change tomorrow,’ he cautioned. He was so uncomfortable naming names that he confided he would not post the list on his blog. I acknowledge I’m taking liberties here and I apologize in advance to the author and to readers who find my actions offensive or reprehensible. It’s just that I have such respect for Rosenbauer’s knowledge and understanding of fly fishing that I believe anglers will benefit from his expertise. Those familiar with Rosenbauer’s writing will know of what I speak; for those who have not made his acquaintance, I hope this blog serves as a tantalizing introduction. Following is a list of his sections in the order of the podcast, accompanied by a few of his comments. He seemed apologetic for including a couple of his own books. He need not have been concerned. Were he not so modest, he could have justifiably listed all his Orvis titles without embarrassment. 1) The Longest Silence by Tom McGuane. 2) Caddisflies by Gary Lafontaine. 3) Hatches II by Al Caucci and Bob Nastasi. 5) Dynamic Nymphing by George Daniel. 6) The Orvis Guide to Leaders, Knots and Tippets, also by Rosenbauer. 8) Strip Set: Fly Fishing Techniques Tactics & Patterns for Streamers by George Daniel. This list of Rosenbauer’s Top 10 is more than sufficient to pass the interminably long, dark hours between the closing and the opening of inland trout season (end of September through third weekend of April in southwestern Ontario). I’ve read only two of his selections, both with deep and lasting pleasure — McGuane’s The Longest Silence and Leeson’s The Habit of Rivers. 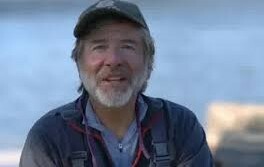 In fact, I’ve read all the books dealing with fly fishing written by the pair of eloquent authors. I also note that Proper’s What the Trout Said is a featured selection in Stephen Bodio’s charmingly engaging Sportsman’s Library, aptly subtitled 100 Essential, Engaging, Offbeat and Occasionally Odd Fishing and Hunting Books for the Adventurous Reader. Finally, anglers prospecting for impossible-to-land books should check out the fine website An Anglers Bookcase, featuring an inventory of 2,700 signed first printings, rare limited editions and other collectible angling books — both new and used.